SUPER FIND !! 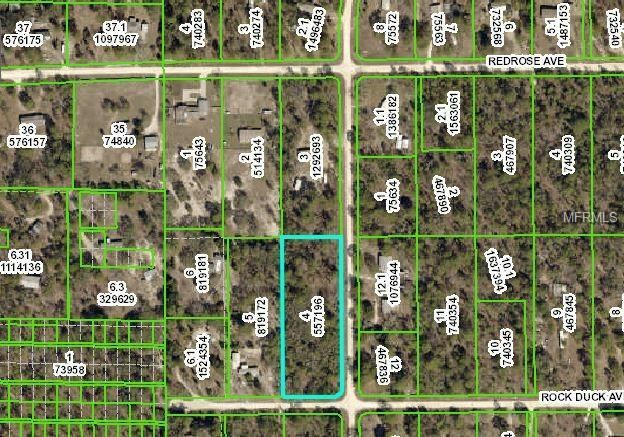 AT A GREAT PRICE THIS 2.5 ACRE SITE CAN BE YOUR NEXT NEW HOME SITE/MINI FARM - ZONED FOR BOTH MANUFACTURED HOMES OR SITE BUILT- CAN BE DIVIDED INTO 2 PARCLES - A CORNER PROPERTY - WITH GREAT POTENTIAL - THESE PROPERTIES SELL QUICK IF INTERESTED BUY IT TODAY - WEEKIE WACHEE SCHOOL DISTRICT - WITHIN MINUTES TO ROUTE 50/CORTEZ BLVD WITH PLEANTY OF SHOPPING AND THE SUNCOAST PARKWAY AND SUNCOAST TRAIL - WEEKIE WACHEE RIVER AND STATE PARK - USE THE PUBLIC BOAT DOCK AND FISH AND SWIM ALL DAY IN EITHER THE RIVER OR THE GULF - WACTH THE SUN RISE OR SUN SET FROM NEARBY PINE ISLAND. The approximate monthly Principal & Interest payment for this property would be $189. This payment is based on a 30-year loan at a fixed rate of 4.12 % with a down payment of $3,600. Actual lender interest rates and loan programs may vary.